Great look for a man or woman! Our stainless steel Jesus Key is a wonderful daily reminder that we are redeemed and empowered through Christ. 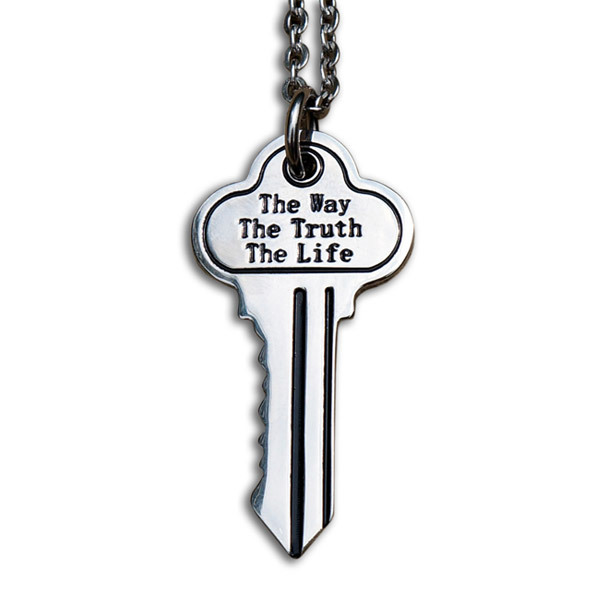 The reverse of the pendant features antiqued engraved – The Way, The Truth, The Life from John 14:6. 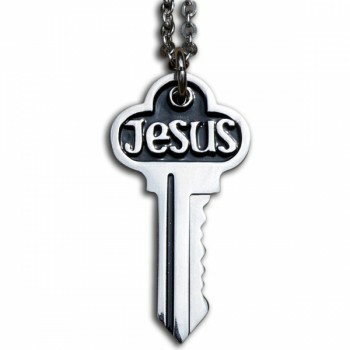 The key measures 1.80 inches by .93 inches.